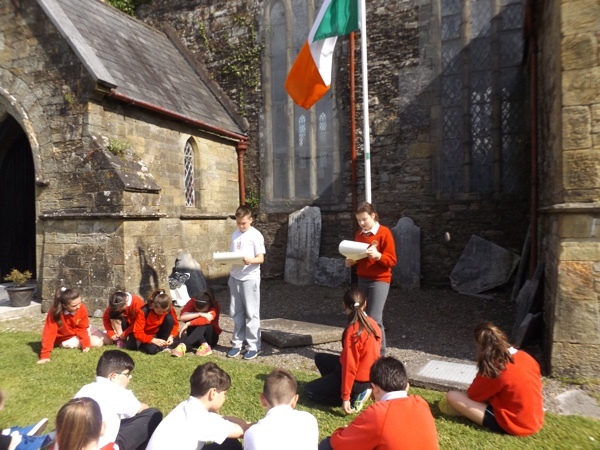 Ar an Aoine chuaigh pásití ó Ghaelscoil Dhroichead na Banndan síos chuig an Ionad Oidhreachta i nDroichead na Banndan. 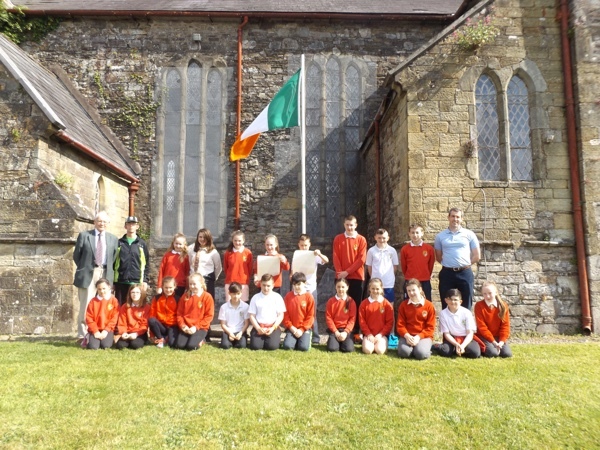 Bhí deis ag na pásití an forógra a léámh agus léargas a fháil ar conas mar a bhí an saol na blianta fada ó shin ar scoil agus mórthimpeall an bhaile mór. 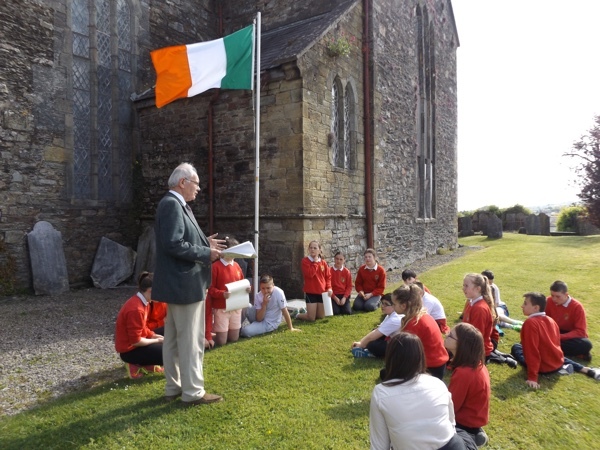 Ba deis iontach é dos na páistí suíomh seana scoile a fheiscint agus cé chomh difriúl is a bhí an saol ag tús na haoise. 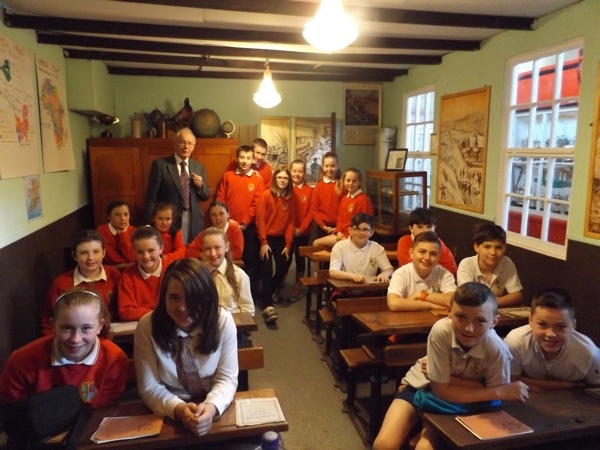 The senior pupils from Gaelscoil Dhroichead na Banndan, accompanied by their headmaster, Micheál Ó Riain, had the opportunity to visit Bandon Heritage Centre recently. 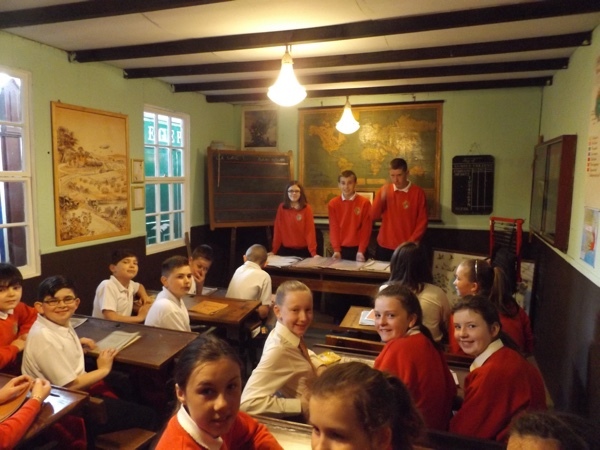 This gave the children an opportunity to see an old school setting and how different life was in the earlier part of the century. 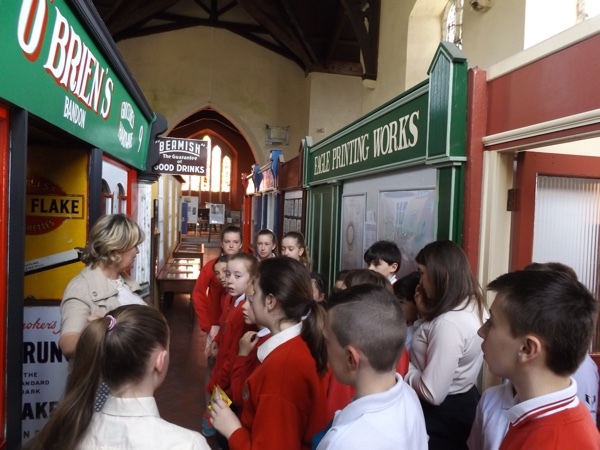 The children also got a historical insight into many of the old traditions that were practiced in Ireland and saw how different life was over a hundred years ago. Please support Bandon Heritage Centre GoFundMe Campaign!